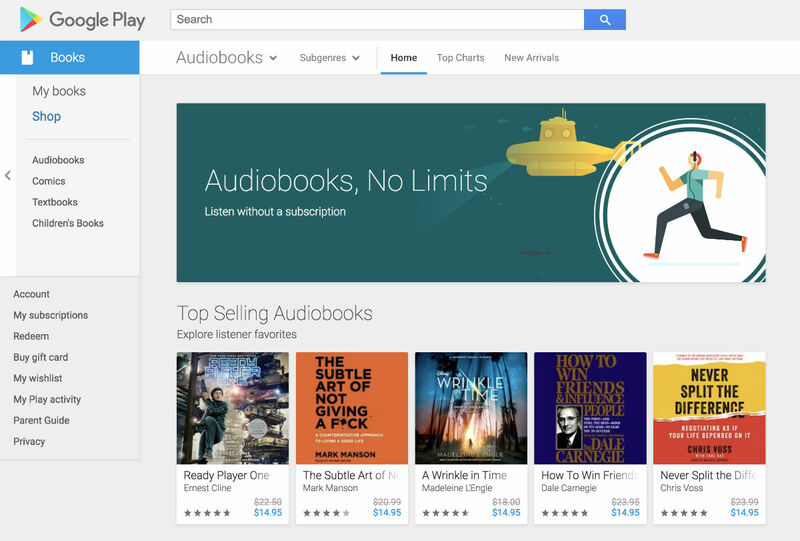 Audiobooks were launched for Google Play only a couple months ago, but already, Google is rolling out a major update that should make listening to your books a bit more easy and enjoyable. To sum up the changes, Google states there is a new feature called Smart Resume. With this, whenever you abruptly have to stop listening to an audiobook, the track will intelligently rewind to the last sentence when the stoppage occurred. This means no more losing your place. Additionally, users will have greater speed controls inside of audiobooks, with Google adding options for 3x speed to get through your book even faster, or slow books down to 0.5x. While there are other changes, the last one I’d like to mention is the ability to share your audiobook or ebook with up to five family members for free, depending on the book. According to Google, shared books can then be read on Android, iOS and the web. These and more changes are rolling out today.